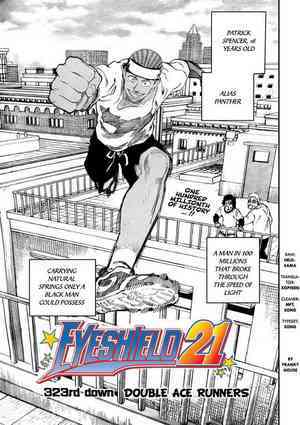 Free download Eyeshield 21 manga chapter 323 from MangaSpoiler.com. If you would like to discuss the chapter or predictions, please leave a comment below. Eyeshield 21 chapter 323 is now available. Download Eyeshield 21 chapter 323 – Double Ace Runners.